Religious freedom is under assault like never before. An increasingly secular left is doing its best to erode the Judeo-Christian values that undergird the country. But one NFL player isn’t deterred from discussing his faith and his most important job. 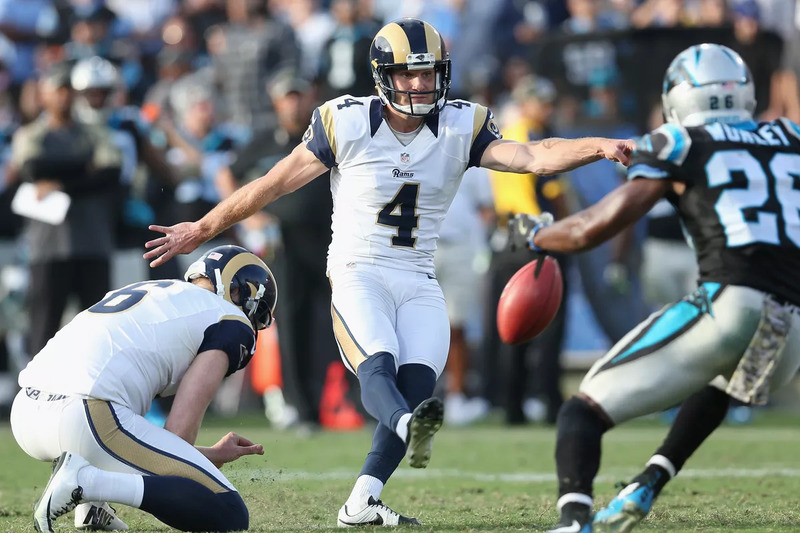 Los Angeles Rams kicker Greg “The Leg” Zuerlein is considered one of the best in the NFL. Zuerlein received the nickname because of his powerful leg and penchant for making long field goals with ease. Zuerlein scored the only points for the Rams in an ugly 13-3 Super Bowl loss to the New England Patriots. Zuerlein also boomed a 57-yard field goal in overtime of the NFC Championship game against the New Orleans Saints to send his team to the Super Bowl. Not only did Zuerlein drill the long kick, analysts said the attempt might’ve been good from 70 yards. But Zuerlein views himself as more than a kicker; he’s a devout Catholic and a family man. Zuerlein and his wife Megan have four children, and they’re the focus of his life. Like future Hall of Fame quarterback Philip Rivers — another devout Catholic with seven kids — Zuerlein puts his family first. “It’s almost as if, as a result of the love that you share, you have one soul as a family,” Zuerlein commented. That’s a stark contrast to the perception of a professional athlete living a lavish, materialistic lifestyle. Zuerlein makes $2.25 million a year, which is peanuts compared to the star players earning close to $30 million each season, but he has a richness of spirit that can’t be purchased. In today’s America, being openly religious can put a target on someone’s back. In Georgia, left-wing activists fought to bar a high school football coach from praying with his team before and after the game. The coach, John Small, was prohibited from praying with his team, but he still prayed and the players voluntarily prayed with him. Even Tim Tebow, Heisman trophy-winner and arguably the most famous Christian in America, was the object of ridicule for years because of his devotion. After scoring touchdowns, Tebow would kneel in prayer. It didn’t take long for opposing players and media personnel to mock him. The left’s position on Christianity usually ranges from indifference to outright disdain. For example, the only time leftists tolerate the Pope is when he’s espousing leftists points of view, such as open borders and economic redistribution. Kudos to Zuerlein and others in the NFL for speaking up about their faith. Tight end Benjamin Watson is a devout Christian and big pro-life advocate. Last year’s Super Bowl Champion Philadelphia Eagles were led by several men of faith including head coach Doug Pederson, quarterback Nick Foles, and tight end Zach Ertz. If Zuerlein and other athletes are open about their religion, it could encourage others to follow suit and perhaps repair some of the moral fabric that’s been eroded in America by a culture of hedonism.